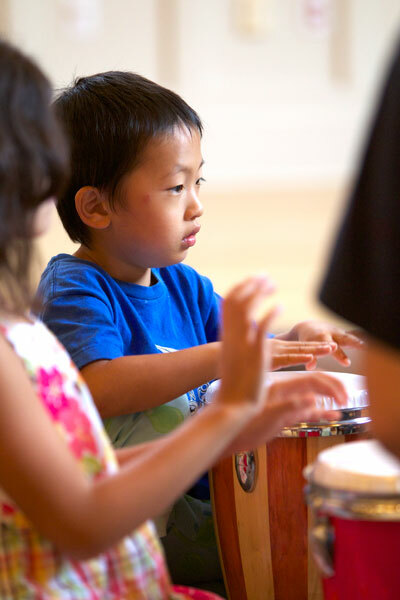 Rhythm Kids was created and developed by musican, composer and percussionist, Tom Foote with more than ten years of in-class research with children of all ages. Tom noticed that many children stop taking music classes between the ages of 4-8 because they aged out of "Mommy & Me" classes and they weren't quite ready for private instruction. 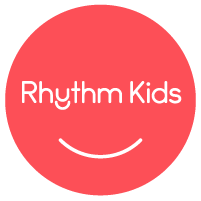 Rhythm Kids is designed to help children integrate and assimilate rhythm into their lives in a way that would keep children engaged, and actively participating in music, for as long as possible. The djembe drum was chosen because of its ease-of-use and the ability to be used in various ways. The visiion was to include activities and instrument play that would allow children to create and express themselves through music and movement, multicultural rhythm patterns (patterns based on cultural music), songs from around the world and music-based games and activities. Most importantly, the class had to be fun, because that is important for children at this age. Although we typically bring African djembe drums to class, Rhythm Kids is way more than just a drumming class as our main focus is to develop rhythm using the voice, the body and the instrument. Our class archetype includes activities that strengthen and draw out a child's natural sense of rhythm while they have fun learning with their friends.